Day 29 of of The 30 Days of Yoga journey! Sweet Surrender! This yoga practice aims at inner strength and inner peace. Working from the inside out. Day 29 is great for those wanting to open up to a new experience when it comes to fitness and even Yoga. Heart openers, hip openers and mindful flow for neck and shoulders. Stretch and strengthen the back body and connect to your core. Take it upside down or listen to your body and restore. Above all relish in the therapeutic benefits of staying present in your asana practice. Stay connected to your breath and enjoy your practice. Tomorrow, I have a surprise for you. I cannot wait. Day 29 done as the Sun rises. Sort of a extra feel good part of things as the Sun comes up. Ready for the Day 30 surprise. I LOVE that phrase “the journey is the reward”! I’m going to put that on a plaque above my door, as it is so true but something we seem to forget. It always seems to be that we are such a hurry to get somewhere or feel better in the long run that we miss what is going on in the present and how great it can be. I love that I found your website, love your enthusiasm, and love that you teach with a smile. You rock! Great heart openers today! I’m so sad that tomorrow is the last day for me, but I’ll definitely continue to practice using these videos, and hopefully see a change each time. I would like a t-shirt or hat, bandana, or patch or pin or something that recognizes that I completed the 30 days of yoga. Do you have any merchandise like this? your blogs and videos have changed my life forever, I,m so glad I found you!!!!! Thank you Adriene for your website. I am sort of a beginner with yoga and started doing it about a year now and I love it! Yoga has changed my life and today all I do now is What Feels Right! Wow cannot believe it is already day 29! This series has changed my life forever, thank you Adriene! This thirty days have being awesome so far! Thank you so much! Adriene you have such a talent! My question is how do I continue after this wonderful thirty days? What do you recommend me? Thanks again, I am looking forward to my thirty day of yoga yey!!! day 29 …i loved day 29 practice though i cannot do Crow!!! Wow day 29.. Thank you so much I am sad for it to end but happy to start it over again . I had a hip replacement 5 months ago and am trying to loosen the stiffness in my lower back and hip. I now get the positions a little better so will be able to listen and move instead of trying to watch the video. If you have any good stretches or positions to help the mobility in my right hip please share with me. Thanks for a new beginning. See you tomorrow!!! Day 29 – Turned out to be a short session. I was left craving for more even though I could not bend over in the warrior stance and touch my head to the ground. That will take some months. But more connection with the breath and as you say Adriene “find out what feels good for you”. So it was relaxing. Tomorrow is the final day of 30 days of yoga with Adriene but you have set me up for an encore in April. This is like that very interesting, thought provoking book which you read once but have to read it again and again to find new meaning, hues and shades so as to internalize it. Onward to more phenomenal yoga sessions with Adriene! My mother actually turned me on to your practice and I’m loving every second of it. It’s helped me in many areas of my life, including drumming and weightlifting. Two of my favourite passions. With that being said, I felt it necessary to reach out and spread a little love, letting you know that you’ve not only inspired me, but thousands of others out there through good will and the love for what you do, so thank you very much! I just donated because i felt it necessary, and well deserved on your part. And now I have all 30 days of yoga videos with me wherever I go! I just finished The 30 days. It took me a bit longer then The 30 but… I kept coming back to it and loved every minute. The days that I didn’t follow your class work took over again. A continuous battle – balancing a busy job with my love for yoga. Even being a yoga teacher myself. Thanks for your lovely energy, great isntructions and your inspiration. I will miss this! A beautiful practice today. Thank you! Thank you for this beautiful gift of 30 days of yoga! You have such an amazing spirit and I am so grateful for sharing your practice. I have always been so intimidated by yoga because of a bad experience many years ago. 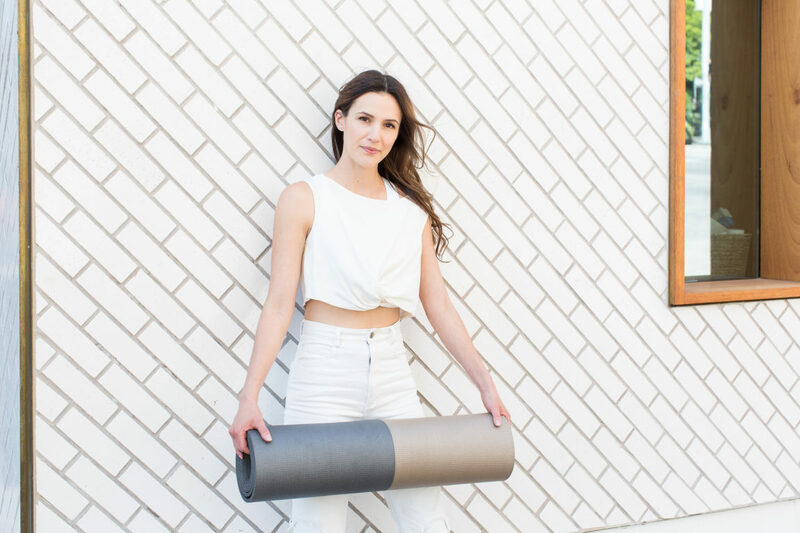 I recently became more invested in my personal and spiritual growth and wanted to try yoga again as I felt it could be a powerful way to connect mind, body, and spirit. I came across your 30 day Yoga challenge and it has been life changing. You have such a joyful, playful and approachable style and I have found that I look forward to yoga every day. I make time for it even if it is at the very end of my day after putting my daughter to bed and I am exhausted I want to do the yoga before konk out!!! Today’s practice of opening the heart was truly amazing, I felt tension release in my chest and actually heard/felt cracking open in my chest area as I spread my arms wide and opened my chest. Thank you thank you! I just signed up for your RISE program as I want more Yoga with Adriene and I want to support what you do financially so you can keep doing it. Thank you, thank you!! I feel great after 29 days of yoga with you! I’ve been dabbling with your video’s for a couple of months and have a few favorites that I sometimes added over the past 29 days. I started a home practice in November after doing a public beginner class for 3 years. When I found your video’s I avoided them because I didn’t think I could keep up to a young thing like you! With my 50th birthday looming I challenged myself and amazed myself how much I can actually do! I feel like I will be in better shape at 50 than I was at 25! I love your love of yoga and your teaching style, so engaging and fun.